« Wooden crow decoy or magic talisman? Our prayers are going to Heaven! I have not had a lot of time the last few weeks to work on the Praying machine but I did sneak in a few hours this weekend. I got the bit of the mechanism complete that raises and lowers the wings. Next will the be the gearing that spins the prayer box itself. 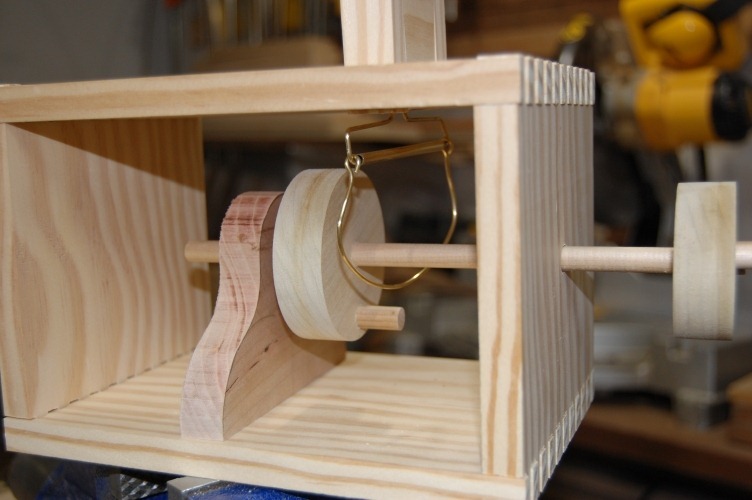 This entry was posted on April 13, 2010 at 3:22 am and is filed under Automata, Carving, Gear Making, metalwork, Toy Making, Woodworking with tags Automata. You can follow any responses to this entry through the RSS 2.0 feed. You can leave a response, or trackback from your own site.